"The current treatment for cancer [chemotherapy] can be almost as terrifying as the cancer itself, and it doesn't always work," Rachael said. "Recent research has shown that your very own immune system can fight cancer – but sometimes it needs a push. Immunotherapy called checkpoint blockade is able to 'release the breaks' on your immune system, allowing it to kill cancer cells"
Rachael said any two patients with exactly the same cancer do not always respond in the same way to immune therapy and her research is examining how non-responsive patients could be identified and converted to become responders. "These treatments can result in complete disappearance of cancer in some patients, but no response in others," she said. "Using a unique tumour model with cutting edge technology, we have identified key pathways that determine response before therapy is given." "By first treating the tumour with already available drugs, we can activate these pathways, resulting in full cures when subsequently treated with immune checkpoint antibodies." 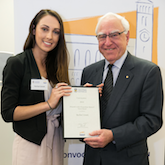 For this ground-breaking research, Rachael has won the highest honour in the UWA 2018 Convocation Postgraduate Research Travel Awards, the Geoffrey Kennedy Postgraduate Research Travel Award. Valued at $3000, the Award will help cover the cost of Rachael attending the 5th European Conference of Immunology in The Netherlands in September this year, and visiting three laboratories there that specialise in all aspects of cancer immunology. UWA's Warden of Convocation, Dr Doug McGhie, said he was delighted that such a deserving candidate had received the Geoffrey Kennedy Postgraduate Research Travel Award. 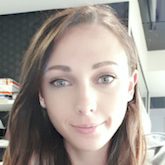 "The Selection Committee was most impressed with the important research Rachael is undertaking and pleased she received this year's top Postgraduate Research Travel Award," he said. "Convocation provides a number of awards each year to encourage students like Rachael to aim for excellence. All funds for these awards are donated by graduates, many of whom have benefited from similar awards during their time as students at UWA." Media contact: Dr Doug McGhie, tel 0419 988 488, Warden of Convocation.